April may bring spring showers, but it also brings funkalicious fun! These queens are here to spice up your night with their fun antics, fab performances and outrageous behavior! We’re bringing some of our FAVORITE drag queens for this saucy BYOB event! We’ll start off the night with fabulous bingo – filled with gut-busting laughs and fab new friends. Then we’ll wrap up the night with a Drag Queen show that will be all kinds of CRAZY FUN! This is a party that can not be missed…we’re bringing the sass to Frederick! All attendees must be 18+ and all attendees must have a ticket. An advance ticket gives you access to 10 games and 5 specials games. 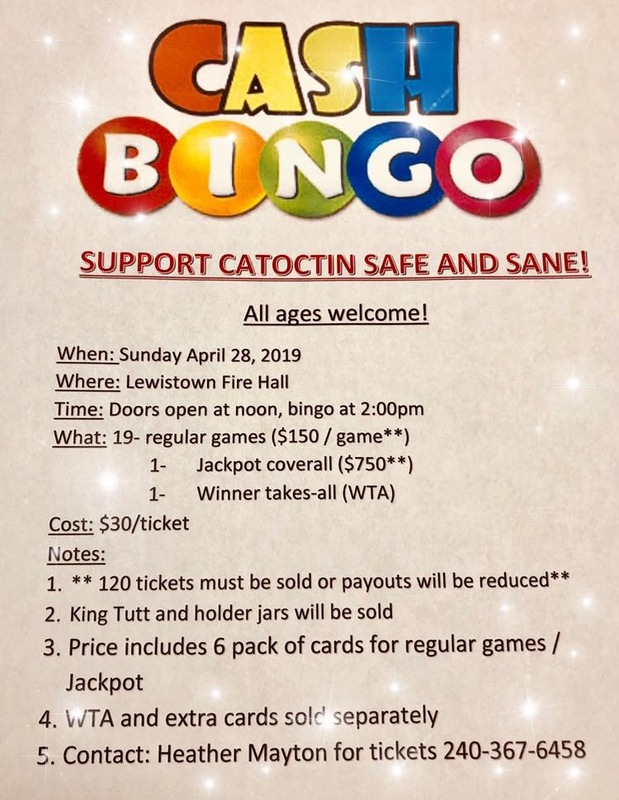 Concessions from Lewistown Fire Hall will also be available – plus, this event is BYOB for attendees 21 and over! Tickets will be $20 in advance or $30 at the door, if available. Doors will open at 4:30 pm and games will begin at 6 pm.